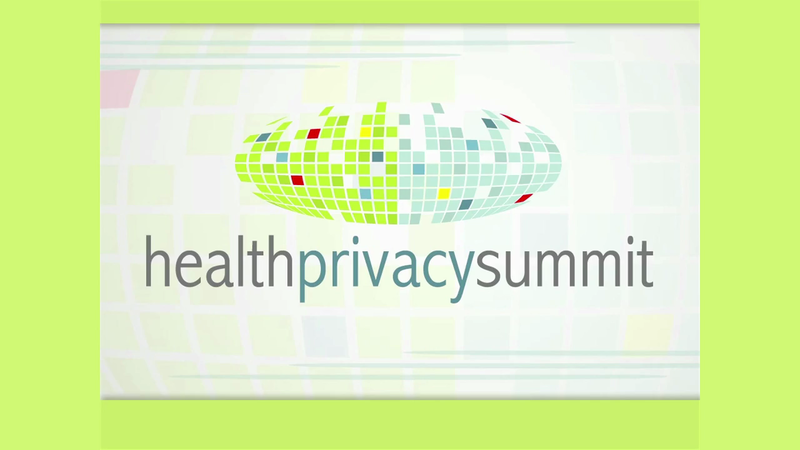 The Celebration of Privacy Gala is an intimate gathering of key national and global privacy experts held night one of the Health Privacy Summit. The evening includes the presentation of The Louis D. Brandeis Award, an honor which has been called the “Nobel” of privacy awards. 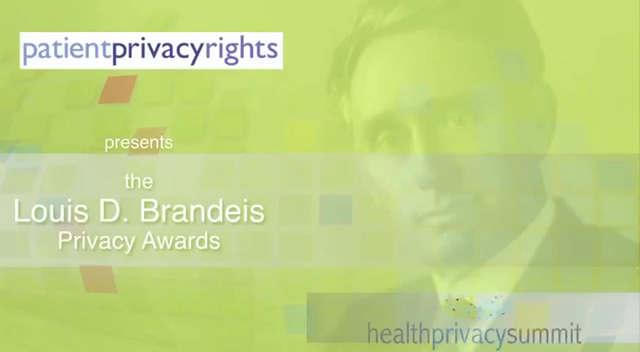 The Louis D. Brandeis Privacy Award is given to leaders who have made extraordinary contributions as privacy advocates. 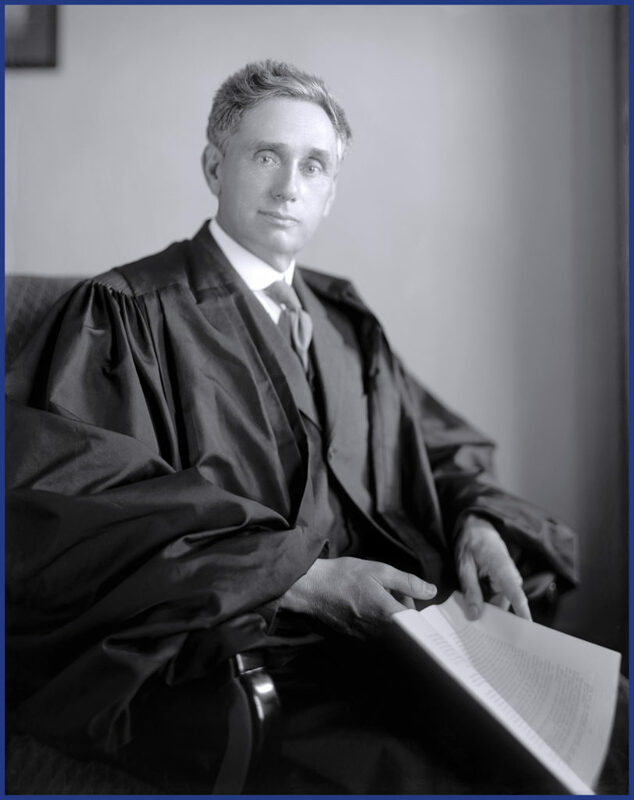 Named in honor of Justice Louis D. Brandeis, the first on the Supreme Court to interpret a Constitutional right to privacy, the award has the special distinction of being endorsed by Brandeis’ descendants. Each leader recognized has built on the indelible legacy left by Justice Brandeis. Professor Forgó’s critical research in Information and Communications Technology has focused on privacy, in particular on medical privacy, intellectual property, and data security. 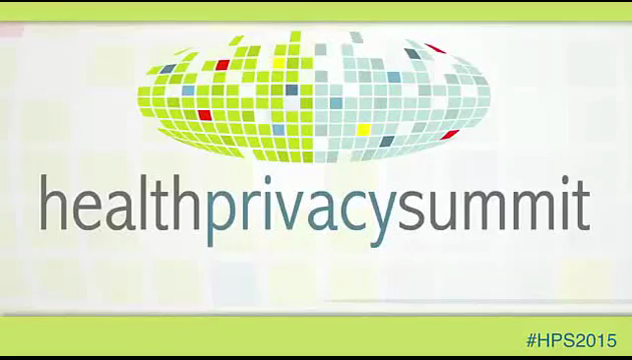 As the Principal Investigator in 22 European Research Projects and leader of 25 national research projects on clinical trials, privacy and consent, EHRS, as well as informatics and legal frameworks, his influential work and outstanding leadership in both medical privacy technology and the law is a model for the world. Ji Su Yoo, a Harvard research assistant at the Data Privacy Lab. Her work has focused on re-identification and she has been instrumental in adding the largest number of verified new nodes to Harvard’s DataMap project that aims to track all hidden flows of personal health data in the US. She is an inspiring leader committed to exposing how technology (and its use in government and policy-making) may exacerbate or reflect existing political and societal inequalities. Professor Joe Cannataci is a global scholar and privacy hero who was appointed UN Special Rapporteur on the right to privacy in 2015. A considerable deal of Joe’s time is dedicated to collaborative research across cultures and continents, His academic appointments include: Head of the Department of Information Policy & Governance at the University of Malta. He also holds the Chair of European Information Policy & Technology at the University of Groningen in the Netherlands. Also an Adjunct Professor at the Security Research Institute and the School of Computer and Security Science at Edith Cowan University Australia, where he conducts research exploring privacy-related behavior and perceptions of indigenous peoples. He has written extensively on data protection law, liability for expert systems, legal aspects of medical informatics, copyright in computer software and co-authored papers and textbook chapters on self-regulation and the Internet, the EU Constitution and data protection, online dispute resolution, data retention and police data. His latest book “The Individual & Privacy” was published in March 2015. In 2002 he was decorated by the Republic of France, elevated to Officier dans l’ordre des palmes académiques. He has held or currently holds research grants from the British Academy, the Council of Europe, COST, UNESCO and the European Commission, and serves on the editorial board of six peer-reviewed journals. Chris Vickery has been cited as a security expert by Forbes, BBC News, The New York Times, WIRED, NBC News, and many other publications. He has assisted Microsoft, Visa, Citrix, Real Networks, Major League Baseball, Verizon, and dozens of other companies in plugging serious data exposure vulnerabilities. Most famous for discovering an exposed database with the registration records of every registered voter in America (over 191 million), Chris estimates that he has also helped remediate breaches exposing the sensitive account details of over 40 million people (not including the US and Mexico voter databases). Alex ‘Sandy’ Pentland has helped create and direct MIT’s Media Lab, the Media Lab Asia, and the Center for Future Health. He chairs the World Economic Forum’s Data Driven Development council, is Academic Director of the Harvard-MIT Data-Pop Alliance, and is a member of Advisory Boards for the United Nations Secretary General. In 2012 Forbes named Sandy one of the ‘seven most powerful data scientists in the world’, along with Google’s founders and the CTO of the United States. On January 1, 2014, Dr. Masao Horibe was appointed as the first Chairman of the Specific Personal Information Protection Commission, a new independent data protection authority, by the Prime Minister, with the consent of both Houses of the Diet. He has been researching both privacy and data protection and freedom of information for more than half a century. Horibe has written extensively in the areas of privacy, data protection, freedom of information, media law, etc. He served as Vice-Chair of WPISP (the Working Party on Information Security and Privacy) of the OECD (1996-2008). He is “Privacy by Design Ambassador” of the Information and Privacy Commissioner of Ontario, Canada, and one of the five honorary members of the Digital Enlightenment Forum, established as a not-for-profit organization in Luxembourg in 2011. Horibe was a member of the Sub-Committee on Disclosure of Administrative Information of the Administrative Reform Committee (1995-1996), as well as Chairperson of the Working Party on Personal Data Protection of the Information Technology (IT) Strategy Headquarters (1999-2000) headed by the Prime Minister. He was a member of the Board of Governors of the Japan Broadcasting Corporation (NHK) (1999-2005) (appointed by the Prime Minister with the consent of both Houses of the Diet). At the local level, he has been involved in drafting Ordinances of Disclosure of Information (1981-82) and Protection of Personal Information of Kanagawa Prefectural Government (1988-90) and Tokyo Metropolitan Government (1983-85 and 1989-90). He was Vice-Chair and Chairperson of its Review Board of Kanagawa for more than 30 years (1983-2013) and a member and President of the Council relating to these Ordinances of Tokyo Metropolitan Government for 22 years (1991-2013). Horibe served as Chairman of the Working Group on Personal Data Protection relating to the National ID of the Social Security and Tax, Cabinet Secretariat, Government of Japan (2011-12). He is sometimes called “Mr. Privacy” or “Dr. Privacy” on account of his remarkable knowledge of, and experience in, privacy and personal information protection, and is widely recognized as “the founder of the information disclosure system”. Born in 1936, Horibe was graduated from the Master of Laws Course at the University of Tokyo in 1962. He served as Assistant, Associate and full Professor of Law and Dean at Hitotsubashi University, one of the oldest national universities, for more than 30 years and Professor of Law at Chuo University, one of the oldest private universities, for 10 years. Horibe served as President of various academic societies, including the Law and Computers Association of Japan (1987–2002), the Comparative Law Association (1998-2002), and the Japan Society of Information and Communication Research (2000-2004). He was also a member of the Science Council of Japan (2000-2003). As Professor of Government and Technology in Residence at Harvard University, Latanya Sweeney’s mission is create and use technology to assess and solve societal, political and governance problems, and to teach others how to do the same. One focus area is the scientific study of technology’s impact on humankind, and she is the Editor-in-Chief of Technology Science. Another focus area is data privacy, and she is the Director of the Data Privacy Lab at Harvard. Mr. Schaar was born in Berlin in 1954 and has a degree in Economics. From 1980 to 1986 he worked in various functions in the city administration of Hamburg. From 1986 to 2002 he was employed in the office of Hamburg’s Data Protection Commissioner, initally as the head of the technology unit and later as deputy commissioner. From 2002 to 2003 he was the founder and managing director of a consulting company for data protection. From 2003 to 2013 he was the Federal Commissioner for Data Protection and Freedom of Information. He also currently works as lecturer at the University of Hamburg. In 2013 he was elected as chairman of the European Academy for Freedom of Information and Data Protection. Peter Hustinx served as the European Data Protection Supervisor (EDPS) beginning in January 2004, contributing to the building of the new supervisory authority and developing itsrole at Community level. He was reappointed for a second five-year term of office in January 2009. Prior to his appointment as EDPS, Mr. Hustinx worked as the President of the Dutch Data Protection Authority as from 1991. Between 1996 and 2000, he was Chairman of the Article 29 Data Protection Working Party. His long standing experience in the field also extends to the broader European level; covering work as an expert in the Committee which prepared the Council of Europe Convention on data protection (No. 108). He also has data protection experience from the law enforcement field, having been Chairman of the Appeals Committee of the Joint Supervisory Body of Europol, and Chairman of the Commission for the Control of Interpol’s Files. Mark A. Rothstein has a joint appointment at the Brandeis School of Law and the School of Medicine. He holds the Herbert F. Boehl Chair of Law and Medicine and is the Founding Director of the Institute for Bioethics, Health Policy and Law at the University of Louisville School of Medicine. He joined the University of Louisville faculty in 2001. He received his B.A. from the University of Pittsburgh and his J.D. from Georgetown University. Professor Rothstein has concentrated his research on bioethics, genetics, health privacy, public health law, and employment law. From 1999-2008, he served as Chair of the Subcommittee on Privacy and Confidentiality of the National Committee on Vital and Health Statistics, the statutory advisory committee to the Secretary of Health and Human Services on health information policy. He is past president of the American Society of Law, Medicine and Ethics. He serves as Public Health Ethics editor for the American Journal of Public Health, and he writes a regular column on Bioethics for the Journal of Law, Medicine & Ethics. Congressman Joe Barton of Texas has diligently worked to protect individual privacy rights. As a founding co-chairman of the Congressional Privacy Caucus, he works to preserve the financial and medical privacy of Americans and has been at the forefront of consumer protections for online safety and protections for data privacy and security in the ever-expanding Internet universe. Barton’s leadership was instrumental in passing the HITECH Act and the inclusion of key new health data privacy and security protections for all consumers and patients. He personally championed the ban on the sale of protected health information without patient consent in HITECH. Congressman Markey is a national leader on technology policy and consumer protection. He served for 20 years as Chair or Ranking Member of the Subcommittee on Telecommunications and the Internet where he was the principal author of many of the laws now governing our nation’s telephone, broadcasting, cable television, wireless, and broadband communications systems. Additionally, he is one of the earliest and strongest leaders for health privacy rights. As Congress began to grapple with the lack of health privacy, he authored model federal legislation known as the TRUST Act, setting a high bar to address gaps in HIPAA. As HITECH was being drafted, he was instrumental in assuring the inclusion of key new health data security and privacy protections for all consumers and patients. He personally championed tough new data security protections requiring technologies like encryption to render data unreadable. Ross Anderson is a Professor of Security Engineering at Cambridge University and the leading health privacy advocate in the UK. He has been involved in medical safety and privacy for many years having been an adviser to the British Medical Association and the Icelandic Medical Association in the mid-1990’s; chair of the Foundation for Information Policy Research, the UK’s leading Internet policy think-tank, since 1998; and a Special Adviser to the UK Health Committee’s inquiry into the Electronic Patient Record. He has worked tirelessly to press for effective health data privacy and security in the NHS, and his research, such as the report called “DataBase State,” has been very influential in the EU and US. Dr. Westin was a leading authority on consumer-privacy public opinion surveys, and in understanding and interpreting the privacy attitudes of the Americanpublic. He worked with Louis Harris & Associates (now Harris Interactive) and Opinion Research Corporation (ORC) on over 60 national privacy surveys since 1978. Dr. Westin was the author or editor of 26 books on constitutional law, civil liberties and American politics, and privacy. He was the nation’s most respected academic authority on public attitudes toward health privacy. For over two decades his extensive, thoughtful surveys and body of work on health privacy have been the sine qua non for understanding the American public’s views about personal control over health information in electronic healthsystems, the trustworthiness of electronic systems, who patients trust to control the use of personal health information, research use of health data without consent, and how vulnerable populations view electronic health systems and data privacy.